Islamic organizations: Only Muslims have a right to the Al-Aqsa Mosque, since this right was granted to them by Allah. A number of Islamic organizations in Jerusalem claimed that the “occupation police” are trying to gradually impose their hegemony on the administration of the Al-Aqsa Mosque. 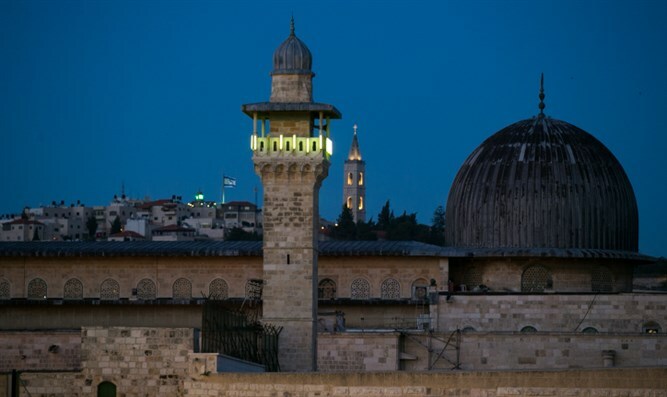 In a joint statement issued by the Council of Religious Endowments, the Supreme Islamic Council and the Islamic Endowment Fund, it was stated that after the end of Ramadan, the “occupation authorities” are seeking to take over the eastern side of the Al-Aqsa Mosque plaza, including the Sha’ar HaRachamim (Golden Gate) area. The Islamic organizations noted that the Israeli authorities are trying to prevent the Al-Aqsa Mosque guards belonging to the Islamic Endowments Department from operating in the area, which they claim is an integral part of the Al-Aqsa Mosque. The statement emphasized that only Muslims have a right to the Al-Aqsa Mosque, since this right was granted to them by Allah, and that there would be no concession of even a grain of land from the mosque’s surface.